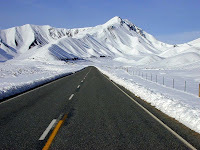 Writer’s block affects many, so I will use that excuse since I have none other to explain my absence of too many months. My writing desert evaporated with a random purchase of the New York Times on Nov. 27 and reading a measured, delicate and insightful review by Nate Chinen of saxophonist Jimmy Greene’s new album Beautiful Life. Greene’s six-year-old daughter, Ana Marquez-Greene, was a victim of the mass shooting at Sandy Hook Elementary School in Newtown, Conn. The recording is Green’s very personal tribute to her. After an initial cursory scanning of the NYT’s article, I found myself tearing up. And I then thought of my unfinished blog written on Virgin America flight 23 from JFK to SFO on Dec. 14, 2012. I, like other captive travelers, watched in horrified silence as the Sandy Hook massacre unfolded before us. Over the next 28 days I wrote, edited and struggled repeatedly with making the content of the communications article personal and relevant for my blog. Finally, on January 10, 2013, “VISUAL Memory is Powerful” was posted to Notes Into Images. Although I had worked with the copy for almost a month, I was not satisfied; the content didn’t hang together, and the title wasn’t right! What did work was the Virgin purple photo of an empty cabin with row after row of flickering seat-back TV screens. 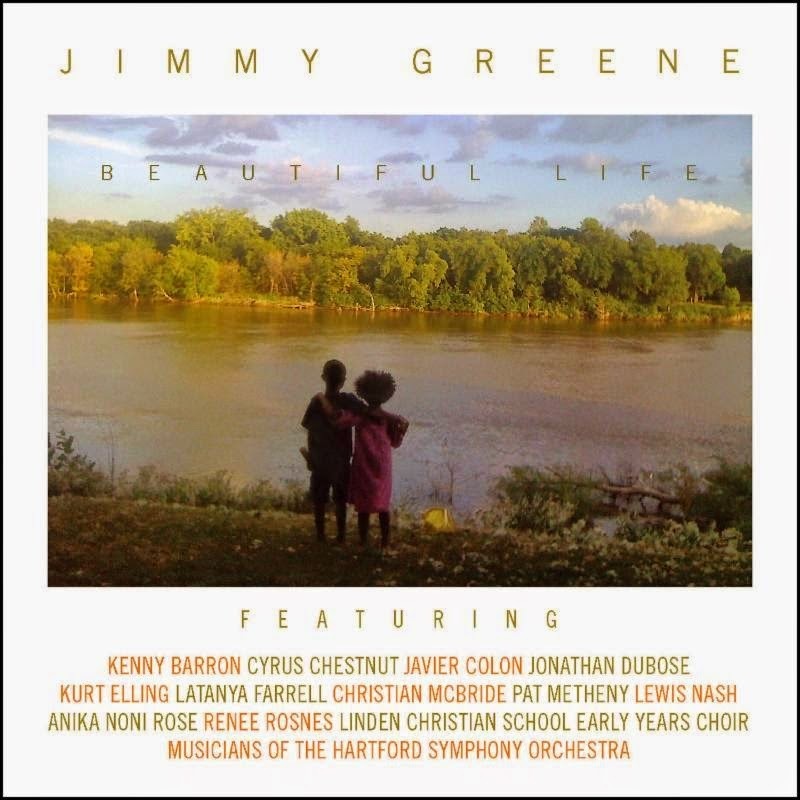 Now this beautiful album by Jimmy Greene appears: a collection of music and song (one an audio clip of Ana singing a hymn with her brother) that gives a lasting and positive visual of a horrible day. Words sometimes fail, but music rarely does—and this album captures the life, specialness and beauty of a six year old who was dearly loved by her family and friends and taken away too soon. 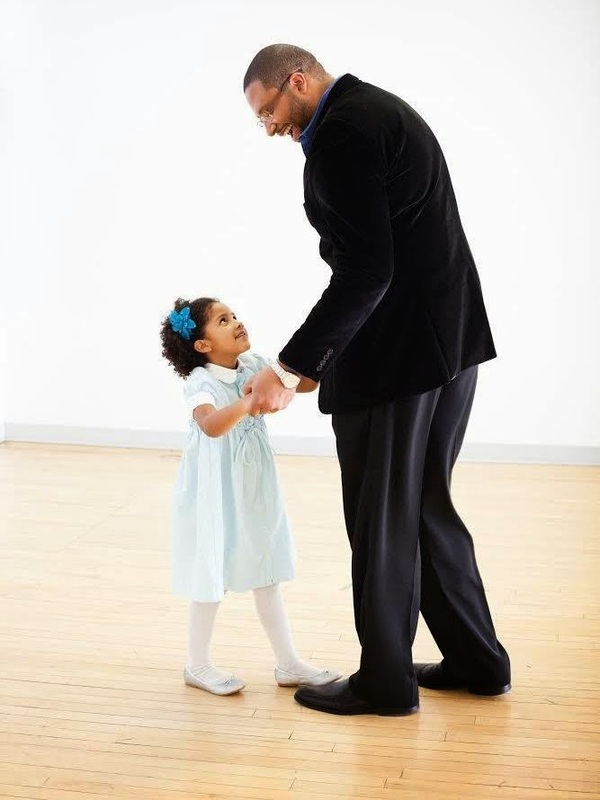 With his album Beautiful Life, Jimmy Greene, shows how Ana lived her life, not how she died. Through music and song the visual memory succeeds. The images of a horrible day shared with the passengers of Virgin Flight 23 have evaporated and been replaced with a smiling and adoring Ana with her hands clasped in her father’s tender embrace. For the second time in two years, I have a close friend who is almost at the end of her cancer treatment—that is, unless her medical team decides to also use radiation. As I watch it all unfold again, I’m feeling inadequate. I can’t offer medical advice, as I’m not a cancer specialist and have no personal experience to draw from. Listening is the best I can do, and I must admit I’ve never excelled in that department. Like most people, I talk more than I listen and rarely pull myself up short to adjust my behavior. Unfortunately, I’m pretty much an action-oriented person who likes to help by offering solutions. I think I listen, but all too often I am listening and simultaneously framing my rebuttal (artfully disguised as advice). Why I am always so eager to jump in with an immediate response is a mystery to me. Correcting my behavior should be simple, like reminding myself to slow down and listen, as I may think I know what’s coming next, but most of the time I don’t! In my defense, I am passionate about many things and love to share my observations quickly—usually with great enthusiasm. Honestly, the latter may be the problem. Listening is a skill for the long haul, and it takes patience, practice and focus. As I continue to work on mastering the skill, I offer some suggestions you may find helpful in your quest to also become a better listener. First, stop talking—because you can’t listen if you’re talking. Focus on getting your mind set to listen and being able to really hear. Listen to understand rather than to oppose. Second, be patient. Allow plenty of time. Don’t interrupt, start for the door, or walk away. Third, make a list of the questions that may be asked. In preparing my clients for meetings, I drill repeatedly on anticipating the questions likely to be asked and preparing religiously to answer them. Question preparation serves both sides, as we listen with greater clarity when we have prepared for an interchange. Fourth, consciously remove distractions. That means turn off phones and other mobile devices. If you’re on a conference call, take notes that will help you focus on content and facilitate greater recall when it concludes. I listen to get a better understanding of a person’s focus and feelings about a project. It’s one of the best ways to get a clear read on the intent and direction. Finally, elicit more information and a greater understanding by using the words “what,” “when,” “why,” or “where,” as they can’t be answered with a simple yes or no. In the summer at end of day, weather permitting – which means not too cool or foggy – I look forward to crossing the lawn, climbing the wood stairs to the top of the levee, and navigating the path around kayaks, brightly colored life jackets, and an old metal canoe—this year’s randomly assembled obstacle course to the river. Although it still catches me by surprise, I usually remember and anticipate passing a surprisingly realistic ceramic alligator partially submerged in gravel. From that point the dusty path winds steeply down to a metal gate erected years ago to keep out the deer. On a good day the key slides effortlessly into the lock. Once unlocked, the heavy gate swings wide to the other side. I quickly slip through and follow the path to the stairs leading to the weather-worn floating dock below. This evening I stop and cut a blackberry vine, which in a day has grown across the bottom step. Then, having traversed two bends in the stairs and a small plank to the dock, I am there. Sitting on the edge, I swing my legs over the side and feel around until my feet find the submerged first rung of the ladder. The water’s cooling effect is immediate, and soon my legs adjust to the wetness and chilly temperature. Generally, in early evening with the light less intense, I and a few ducks have the Russian River to ourselves. This year the fish are more than plentiful; and although not desirable to eat, the carp are big, abundant and darting everywhere! The view up river is perfection: the sky a light blue and the river a brilliant, deeper blue, framed on the left by a wide, warm, beige gravel bar while lush green tree branches line the opposite bank. So what do my floating dock reflections have to do with making a presentation? Effective communicators know how to paint a picture, use the familiar for a compelling story, lay out a path to deal with obstacles, convey emotions that feel right to connect with an audience, and address the unknowns while bringing the listener along—all the ingredients for a stunning performance and achieving enhanced and successful communication. So how do you do this? Are you trying to change the world, or do you just have something interesting to say? Either way your objective should be to entertain and inspire your audience and to end up feeling mighty good about your presentation. And applause is always appreciated. So start by spending time thinking about your audience and what they need or want to hear. Here are three topics to help you deliver your message and engage your audience. Tell stories. My intent was to draw you in to walk with me across the lawn or to run and catch up so we could have a conversation as we climbed the steps together. If I have done a good job of storytelling, you will be at my side on some part of the journey and will eagerly anticipate getting to the floating dock as much as I do. And, if you are a child, you will race to get there first! Inspire. Paint a word picture; let your audience see what you see and be drawn in and inspired by your vision. I credit my mother with giving me a heightened visual awareness and a sense of wonder about all things around me. I call it The Rachel Carson kind of seeing. Strive for that feeling in your descriptions. Comment on texture, space or color, as it will help your audience see and experience what you see. Speakers who can’t see or feel their words will experience difficulty connecting successfully with an audience. Move. 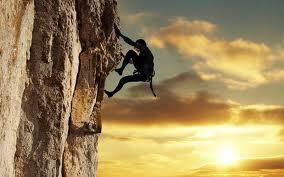 Look for opportunities to practice; whenever possible, get on your feet to deliver your message. Note I am not talking about standing for just a formal speaking engagement. The advice is for beginners and even veteran speech makers. Let your body work for and with you. We do a lot of sitting, and the result is a rusty, tight body that doesn’t move gracefully to enhance and support your words. Think of the body as running “out of memory,” and you will realize how important it is to regularly get your muscles recharged through practice. Last month I gave a presentation on techniques to “create a rapport” with your audience. In recalling speakers I had heard or seen on You Tube, I was amazed that my mind was spinning with outstanding speeches and presentations—all delivered by women! While researching my topic, I stumbled upon one of today’s best-known women – Oprah Winfrey –and her 2013 Harvard graduation speech. I’m sure many people can offer an opinion on Oprah’s success. But if you can’t, the “whys” are all wrapped up and showcased in this speech. 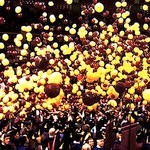 It’s too long for sure, but the speech is brimming with examples of humor, pathos, connectivity and caring about humanity—and in this particular presentation, the Harvard graduates and the challenges life has in store for them. Oprah delivered and connected with a very personal message learned from her own painful experience: the initial failure of her television network, OWN. She began her speech with infectious, laugh-out-loud humor and then expertly set up her message and gave compelling reasons why the audience should listen. In addition, the takeaway was memorable and offered universal advice for everyone: embrace your mistakes, mourn if you need to, learn from it, and then move on! Oprah is the complete package; funny, personal, caring, and lighthearted, she’s all the while skillfully using self-deprecating humor to create a rapport with her audience. If you’re wondering how you can learn from Oprah, here are some tips for your next speech. You may not be asked to give the graduation address at Harvard, but speaking is a great way to grow your business—so you should look for every opportunity to do so! And if you have additional tips for connecting with an audience, I would love to hear from you! Rarely have I done so much work for so little air time yet been so satisfied with time spent. Having only five minutes (which were overseen by a no-nonsense moderator) got my attention and challenged me to start my research immediately. I began by listing the techniques I would address and then identified 10 speakers who had used one or more of them successfully. Once that was settled, I could begin researching videos and work on editing clips with Woody Griffin, a young and highly talented video editor at Beyond Pix Studios – the hosting company. So my search for speakers who “connect” exceptionally well began. I had watched and been impressed with Michelle Obama’s highly successful 2012 Democratic NationalConvention speech. From her dramatic entrance in a multi-colored designer gown to lights, music, smile and endearing swagger, she immediately connected with the delegates (and no doubt a greater audience beyond the convention floor). Her speech writer did a masterful job of giving her dialogue using self-deprecating humor, a tool which helped her successfully connect with the audience while telling personal stories to humanize her husband. She succeeded in getting the audience to laugh and delivered a better understanding of the guy she calls Baa-rack. Next I settled on Steve Jobs, as I had just finished Walter Isaacson’s biography. In 2005 Steve Jobs was asked to give a graduation speech at Stanford University. But the back story is that Steve struggled with what to say and how to put together the speech. He asked for help in writing it; when none came and the day grew closer, he had no choice but to write it himself. Jobs decided to develop the themes he wanted the graduates to take away by telling stories from his life and in doing so chose a time honored way of “connecting” with an audience. As long as a speaker doesn’t preach, we – old and young alike – love hearing a good story. His extremely personal speech turned out to be one of Jobs’s best and also one of the shortest he ever delivered. Connecting with a judge and jury requires extraordinary delivery skills. The brilliant litigator David Boies is probably the best there is in a courtroom today. In a CNN Money interview, he discusses the secrets to his success in engaging an audience. Boies believes it is his “naturalness”—that he is not artificial, which enables him to connect with an audience. But in the final analysis he attributes his communication skills to preparation: the huge amount of often tedious work and reading that goes into preparing for a trial. Quite amazing considering that Boies is dyslexic! Since authenticity is a must for successful speaking, I realized that David Boies needed to be included. The “interview” video was a departure; but I thought it worked extremely well, so Boies became my third choice. Oprah Winfrey’s 2013 speech to Harvard graduates was my final selection. She used the technique of giving advice from her own painful personal experience to connect with the graduates. The speech was brilliant and funny; but with my commentary and the three video clips already selected, I was over my allotted 5 minutes. Unfortunately her video clip ended up on the BeyondPix cutting room floor. For anyone interested in hearing a great speech that uses a variety of techniques to connect with an audience, I recommend you look up this one on YouTube. Oprah Winfrey is a master communicator! Next time you agree to give a speech, decide what you want to say and then select the speaking techniques to help you inspire, motivate and connect with your audience. And if you have used a speaking technique that has worked particularly well in a speech, I would love to hear about it. And if you liked this blog, please retweet! Big meeting coming up – important date, job interview, dinner party or meeting a new client? Do you think about and visualize how you will greet them, what you’re wearing, where you’ll sit, and how you’ll follow up after an introduction? If you don’t, you should be. Preplanning and following up are important – or should I say essential – before a significant or important introduction, event or meeting. I’m really talking about how to connect, reassure and make a good and hopefully lasting impression. You have what it takes to accomplish this as it is within you, but you have to know where to reach and retrieve it…and then how to use this energy. I’ve talked before about the 7-second rule, which is the anticipated amount of time a person takes to decide if they like or will be rejecting you. If you don’t consider this on a fairly regular basis, you need to retool because you’re not doing yourself a service. Like it or not, those first seven seconds in an encounter are very important! I think of myself as being pretty good at this, but that’s not to say that I don’t have to get myself primed before every significant event or introduction. In preparation I consciously remind myself to visualize the meeting, stand straighter, plan what I’ll be wearing (appearance), pull up my energy, and actively push it out. I also need to engage with a smile which will be probably broader than usual and extend my hand with energy that will be felt fully through my grasp. Perhaps most important in the U.S. culture is the need to make eye contact, which is engaging but not intimidating. 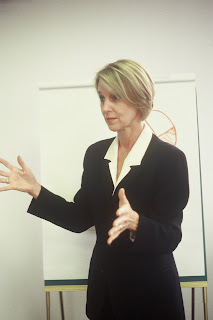 At the beginning of each personal coaching session, I ask my client to remember when he/she has done extremely well in a speech, presentation or important introduction. As they recall the event, they usually articulate everything on the teaching agenda. Doing a personal recall is a great visualization technique and definitely facilitates learning. Recalling when you really did well is extremely effective because we can see ourselves and recall the personal experience again to remember why the interaction or event was successful. With that memory bank accessed, the coaching proceeds effortlessly. And I would be remiss without mentioning the importance of planning what you want to accomplish. Often it’s important to start any meeting by listening to get a better sense of what the other person wants to accomplish. Absorb the atmosphere, look for resistance, and then (with a smile!) chart your course. I’ve been consulting and coaching management teams and designing their important presentations for 20+ years. Early in the process of building my business, I identified a need for specific services and pioneered a turnkey one-stop shopping for companies engaged in private equity fundraising, M&A or the IPO process. As a result I know a little bit about working with tight deadlines, speaker preparation, and motivating and training busy executives to focus, deliver and engage a skeptical investor who may be half-listening in the midst of a chattering hostile market. After hundreds of assignments across diverse industries such as semiconductor, software, venture capital, legal, security, gaming, agriculture, retail, cleantech and medical device, I continue to work with my clients to improve their individual delivery skills to move, inform and motivate an audience. Sometimes all that’s required is a review and clean up of an existing slide presentation or providing coaching and video feedback for an individual speaker to brush up and dust off rusty delivery skills. But more often the assignment is a start-from-scratch, complete package that includes slide concept and design as well as personal delivery skills coaching and Q&A training for the management team. Whatever the speaking engagement, I’m always focused on clarity and consistency in design and pitch. And if the presentation includes visuals, I take care to ensure that the visuals enhance the spoken word and never compete with it. Visuals are powerful and will steal the spotlight if a speaker hasn’t been taught the power of an image and the importance of crafting a message to work with it. Presentation graphics should support the speaker’s unique story, engage the audience, and not override, dilute or blur the message. In 1860 Henry Wadsworth Longfellow wrote his spellbinding poem “The Midnight Ride of Paul Revere.” His opening line – “Listen my children and you shall hear / Of the midnight ride of Paul Revere” – dramatically calls out to pay attention to the exciting story about to unfold. Lis Wiehl, in her book Winning Every Time: How to Use the Skills of a Lawyer in the Trials of Your Life, writes that managing your advocacy with a child takes practice, discipline, a willingness to listen, and an open heart. In fact, everyone from Shakespeare to Wadsworth has written about the need to listen carefully to gain facts or even wisdom. Why is it we have so much difficulty listening when we certainly know the benefits of it? My personal opinion is that it’s very hard to do and takes a lot of practice! If you’re eager to improve your listening skills, these five tips may help you succeed. 1. First, stop talking! You can't listen if you are talking. In Shakespeare's Hamlet, Polonius (Laertes's) father cautions him about his behavior in court to "give every man thine ear, but few thy voice." 2. Look like you want to listen! Focus, make eye contact with the speaker, and act interested. Turn off and put away your BlackBerry. Don't read your emails. Practice listening to learn and understand rather than to oppose. Really listen to the speaker without interrupting! 3. Clear and secure the space. Put away your Blackberry or iPhone. Don't check your email, doodle, tap, or shuffle papers. Clear the environment; shut the door! 4. Empathize with the speaker—which is much easier to do if you're not talking. Allow plenty of time for the speaker to talk. Don't interrupt. "I like to listen. I have learned a great deal from listening carefully. Most people never listen." ~ Ernest Hemingway. "Try going to a week of meetings and saying absolutely nothing unless you're directly asked to speak or you're required to talk. For a week, discipline yourself to go with a notepad to any meeting or interactive situation and listen. Sit quietly for a while, listen, and see what other people are saying. According to the ancient text, Sirach, 'If you love to listen, you will gain knowledge and if you incline your ear, you will become wise.'" Check Your Nonverbal Communication, BEFORE You Speak! It’s generally agreed that a significant amount of what is communicated between people is conveyed nonverbally. Research in the 1950s and 1960s established nonverbal communication as an acknowledged science, and today studies continue on the differences among cultures and between sexes in body language: gestures, eye contact, touch, facial expression, posture, space and clothing (what you wear). Knowledge of how you communicate nonverbally is especially important if you’re a woman. First, let’s get out of the way the fact that a woman, regardless of her culture, is often viewed with sexual overtones by a man. If you accept that premise, you’re wise to consider carefully what you wear when you’re presenting. Equally important is how you stand, gesture, and use your body in talking with a group of men and women. How you hold yourself and use your body has a lot to do with how commanding and charismatic your presence will be, as well as how powerfully your message will come across to an audience. If you’re uncomfortable with who you are, it will make others uncomfortable too! Here are a few tips to raise your comfort factor. Align yourself from head to toe. Stand with your feet 12 inches apart and distribute your weight evenly on each foot. Dress should be determined by the image you wish to convey. Are you a woman lawyer in a courtroom? Wear a blue or black suit, Are you a motivational speaker? Wear a red blazer so you’ll become a visual point for your audience. If you’re a speaker on a panel, don’t slouch or hunch over in your chair. Lean into the speaker’s table. Answer questions by looking straight at the questioner, and remember to speak up so you can be heard. Exude confidence. Remember a time when you gave an impressive presentation. Recall that moment and carry that feeling with you. Your innate body language will help convey conviction to your message. If you practice articulating your confidence nonverbally, you’ll capture your audience before you say a word! Have any insight or questions about nonverbal communication? Put it in the comments! When coaching a management team that's raising equity for a private or public offering, I always first work individually and then pull them together for coaching as a team. To illustrate, a company’s IPO roadshow is a chance for investors to meet the management team and watch them pitch the investment opportunity. Delivering the message is a rite of passage and an important exercise for management to perfect the art of selling, coordinate roles and answer questions effectively. And, interested investors gain information about the company and valuable insight into a team from watching them deliver their story, interact with each other and field questions. How the management team persuades and performs can provide a window into how the company will execute going forward. Here are some tips to ensure successful team presentations. Work as a team. Share the spotlight. Investors don’t want to invest in a one-man/woman band. Practice as a team to develop a smooth cadence to present a seamless company story. Manage Q&A. Identify likely investor questions and prepare answers. Decide who will answer a particular question. Never try to wing it or bluster through, as investors know when you’re not telling the truth or your answer is tentative. Memorize the presentation and slide order. Practice Q&A etiquette. Remember that there are no dumb questions. Always answer a question with enthusiasm and as if it’s the first time you’ve ever been asked. Listen carefully to questions and think before you answer. If you prepared adequately, the answer is in your head waiting to be downloaded. Ears have lousy memories, so never refer back to the presentation to make a point (i.e., “As you may recall, I went over this information in the roadshow.”). Be prepared. Research the attendees before the meeting. Set a goal. Close every meeting and get the order!